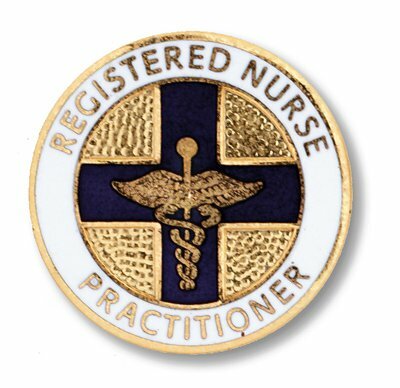 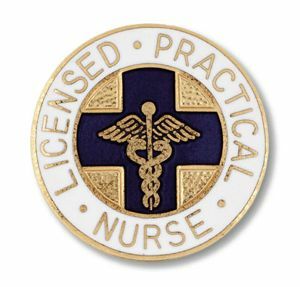 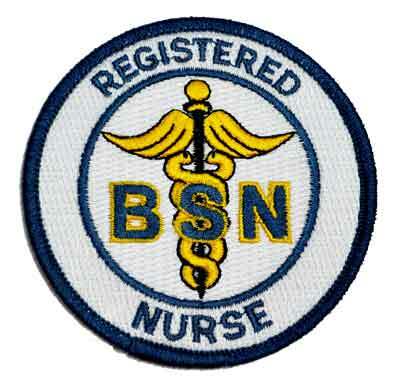 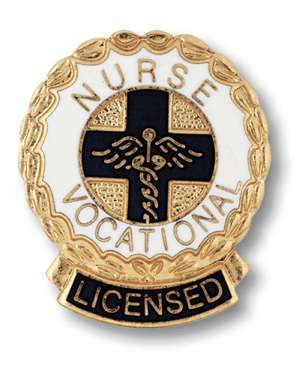 Registered Nurse Practitioner Pin with safety pin backing. 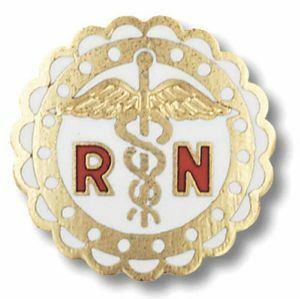 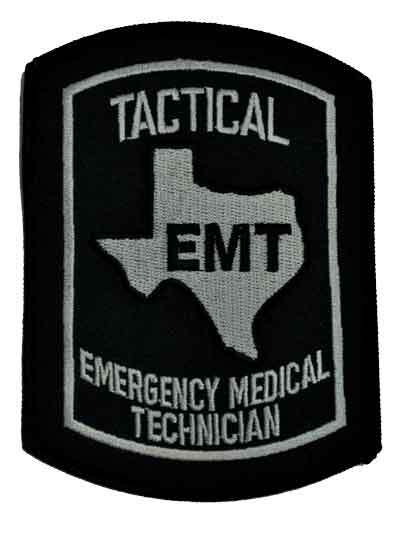 Gold Lettering on white background and Navy Blue Cross and Goldtone Caduceus. 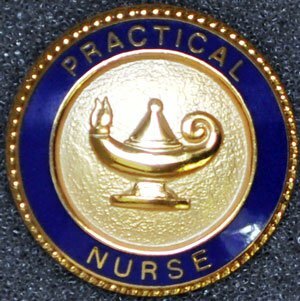 Gold Pebble background in center. 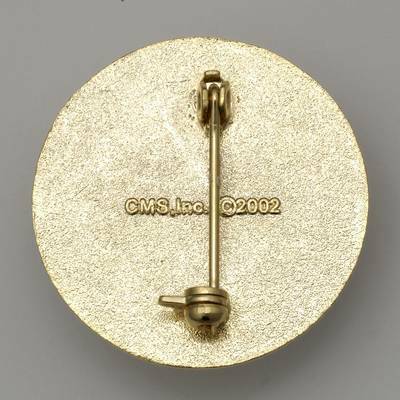 1" diameter pin.